This Thursday we are playing a megawad done by the French community. 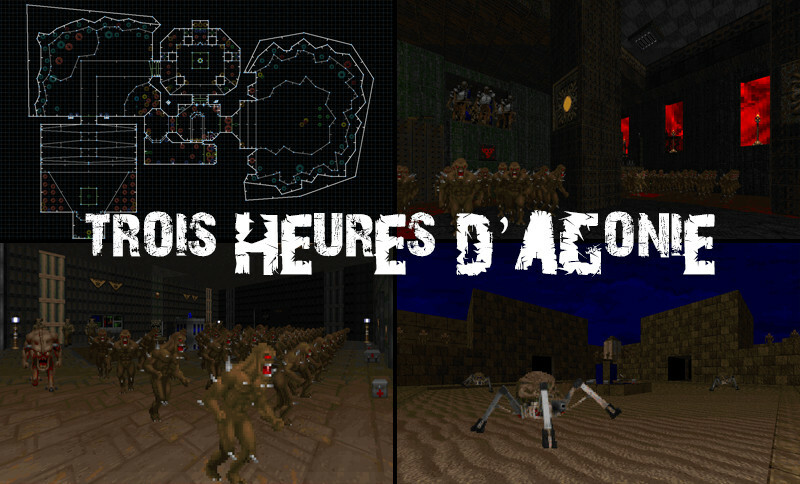 3 Heures d'agonie features 32 short levels that provide a good casual play and some challenge... when played alone. But since we are playing this in multiplayer let's give our fellow marines a reason to not rush through these levels like heroes, and that reason is called "starting right away with pain rotation". Low player count and high join time will help to replace casualties in battle. Bonne chance � tous! Oh yes, I really enjoyed playing this wad. Click here for many screenshots of 3 heures d'agonie.